Are you one of them? If you’re like most Americans, you probably don’t drink enough water.. Many people choose coffee, soda, or even energy drinks as their beverage of choice during the day. Those beverages do provide some hydration, but even so most people aren’t keeping themselves properly hydrated. There is a health epidemic in America that has dire long term consequences – chronic dehydration. The Institute of Medicine of the National Academy of Sciences estimates that you need to drink between 2.5 and 3.5 liters of water each day to maintain healthy hydration levels. But 75% of Americans fall short of that number. In the summer, people who sweat a lot need to drink even more. Don’t be fooled by flavored water. Flavored waters often contain about the same levels of sugar and calories as many sodas. You are better off flavoring your own water with a twist of lemon, orange or other natural flavorings. Nor are waters flavored with artificial sweeteners any better. Research shows that artificial sweeteners can actually cause you to gain weight! The Pinch Test is a quick test that will tell you if you are properly hydrated or not. Lay one hand flat on the table, and pinch the skin together about one inch behind any knuckle. When you release the skin, it should flatten back out in about a second. If it doesn’t flatten out quickly, you’re dehydrated. If you are dehydrated, go get a drink of water, then finish reading this article. Low Energy Levels: Chronic dehydration slows your metabolism down. Your body does this to conserve its supply of water. The more dehydrated you get, the more your body slows your metabolism down, the less energy you will have. Beat the 3 O’clock crash: Next time you feel drowsy after lunch, drink a glass of water. If that fixes your drowsiness, you were dehydrated. The reason for the 3 O’clock crash is that your body uses a lot of water to digest your lunch. That will dehydrate the rest of your body, and slow you down. Headaches: Dehydration causes chemical shifts in the blood, which are caused by the loss of water and electrolytes. Your brain is very sensitive to these chemical shifts, they can cause the nerves in your brain to interpret the loss of hydration as a headache. Dehydration also causes your blood volume to drop which leads to lower blood flow and oxygen flow to the brain. The loss of hydration causes the blood vessels in the brain to swell. This swelling puts pressure on the brain and results in a headache. Dry Skin: Your skin is constantly losing water through evaporation. In a state of chronic dehydration, the blood vessels in the skin will constrict to reduce the rate at which water is being lost. That dries out your skin, and dried out skin is more prone to injury, sun, and age-related damage. 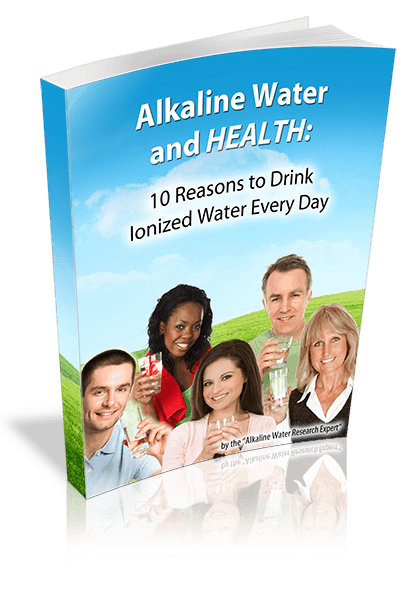 There are two reasons that alkaline water is best for hydration. 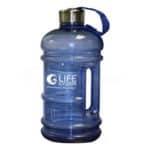 First, alkaline water hydrates better than plain water, especially when you’re working out. 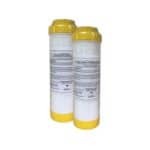 Second, alkaline water tastes better than plain water – a lot better in fact. Alkaline water tastes slightly sweeter and feels a lot more refreshing than plain water. Taste is a lot more important than you might think. If your water tastes better, you’ll be more likely to choose it over other beverages. Think about it: Your goal should be to drink about 2.5 to 3.5 liters of water per day. It will be much easier for you to reach that goal if you enjoy the taste of the water you’re drinking. Ericson, John. ” 75% of Americans May Suffer From Chronic Dehydration, According to Doctors.”Medical Daily. Medical Daily, 03 Jul 2013. Web. 15 Nov 2013. 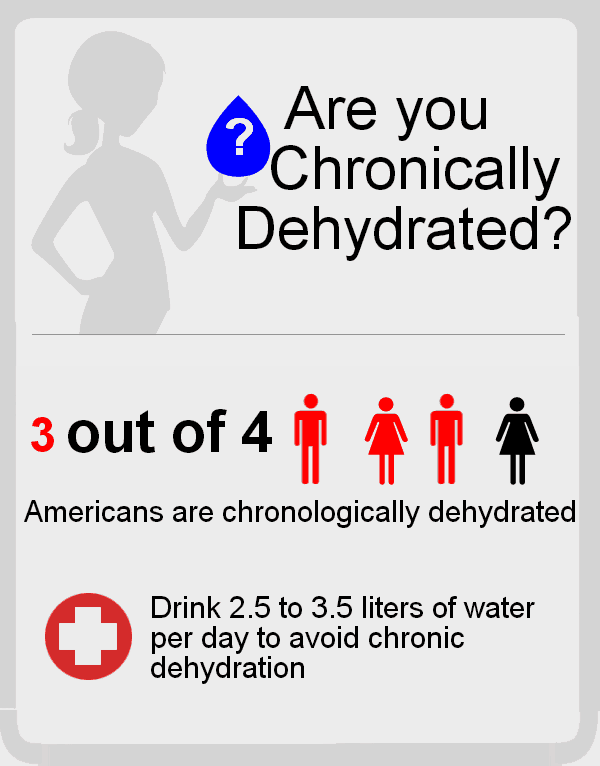 <http://www.medicaldaily.com/75-americans-may-suffer-chronic-dehydration-according-doctors-247393>. Heil, P and Seifert, J. Influence of bottled water on rehydration following a dehydrating bout of cycling exercise. 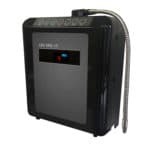 PrevPreviousWhat makes one water ionizer better than another?